Like millions of other fans, I happily plunked down $13 to launch Wonder Woman into blockbuster status on its opening weekend. In fact, I was so excited that I purchased dress-up kits for my gal pal, Amy, and me. Yes, as 40-somethings, we attended a film resplendent in plastic tiaras and gauntlets. Come at us, bro. But what do to with the things after the movie? They’re not display worthy, and while I felt fun and totally awesome in them at the theater, I don’t think I could wear them to jaunt about town. 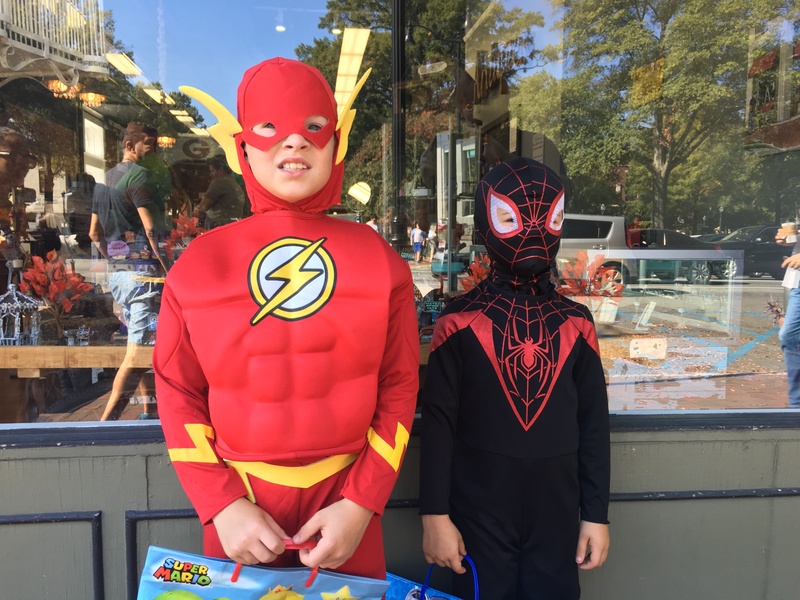 But I do have two kids, a daring duo of boys who love any and everything to do with superheroes. One has a DC themed bedroom and can’t get enough of The Flash or Superman. The other is surrounded by all things Marvel and loves Captain America and Spiderman. We have figures. Costumes. Web shooters. Shields that shoot projectiles. Marvel Tsum Tsums. Superhero pillows and Legos. 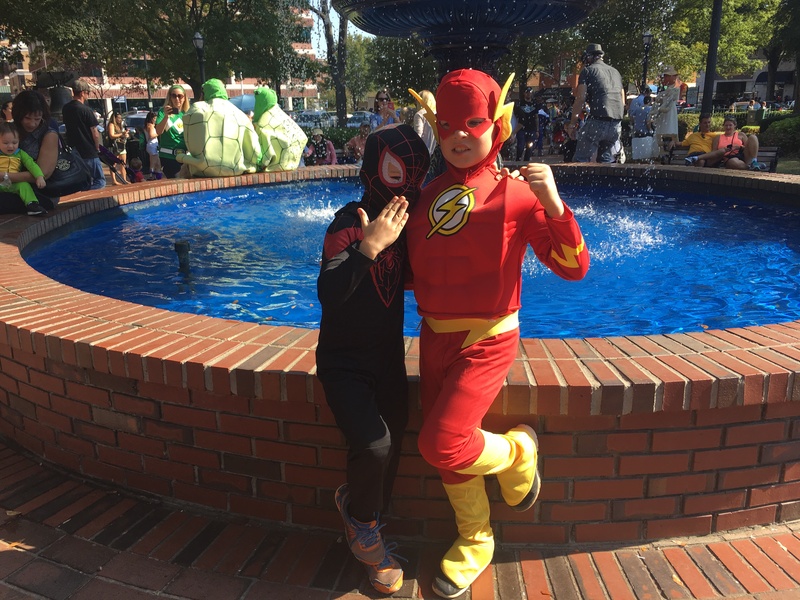 The list goes on and on, and as a mother who loves all things comics, I am thrilled to be able to share all my nerdy knowledge with the kiddos. 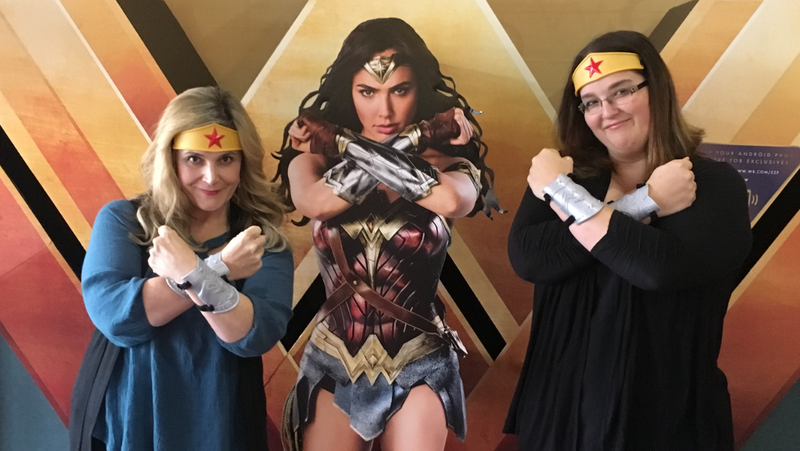 When we got home from the theater, I asked the kids if they wanted the gauntlets, tiara, and Wonder Woman badge, fully expecting them to say, “No thanks. That’s girl stuff.” But get this…they fought over it! “The crown shoots a laser!” my youngest shrieked. “I bet these things can stop Thor’s hammer,” the oldest said, clumsily buckling them on his skinny wrists. They have plans to share the WW logo, wearing it on their capes. It warmed me down to the cockles of my cold, stone libertarian heart to see this. They don’t see Wonder Woman as a “female super hero” on a team, but as “a superhero” like the male ones they so admire. Like their daddy (who was as excited to see the movie as I), they see women as strong, beautiful, fierce, independent—different than males certainly, but equal to them in every way. And this has come with very little coaching on our part. He also makes sure to point out the women in the Bible. Sure, we talk about David and Goliath, Jonah and the Whale, the skeletons in the Valley of Dry Bones—all the kinds of things boys love—but they also know the stories of Rahab, Shiphrah and Puah, Deborah, Esther, and Mary. They’re aware of the valuable contributions these ladies have made to the kingdom, how God uses women as well as men to accomplish his purposes on this earth. And I can’t help but think that this equal “screen time” is helping frame their worldview the right way. We hope it will help them become wise men of valor who esteem and honor their future wives and all the other women they come into contact with. The ship of progress turns by slight degrees, and hopefully by the time our two little nuggets are out there in the world, they won’t be happily shocked to see a movie directed by a woman with a female in the lead role. It’ll be a matter of course. We can’t let them see the movie just yet as they’re still a bit too wee for it, but in another year or two, we’ll show them all the stories we love. And I firmly believe they’ll be as stoked to watch Wonder Woman in action as I was. Whether it comes in the form of film, television, graphic novels, short stories, or even epic poetry, I just can’t get enough of stories. Seriously, a well-executed yarn is to me what a bowl of crunchy kibble is to a hungry dog. Feed it to me, and I’ll hang around on your back porch forever. But what exactly makes a story great? 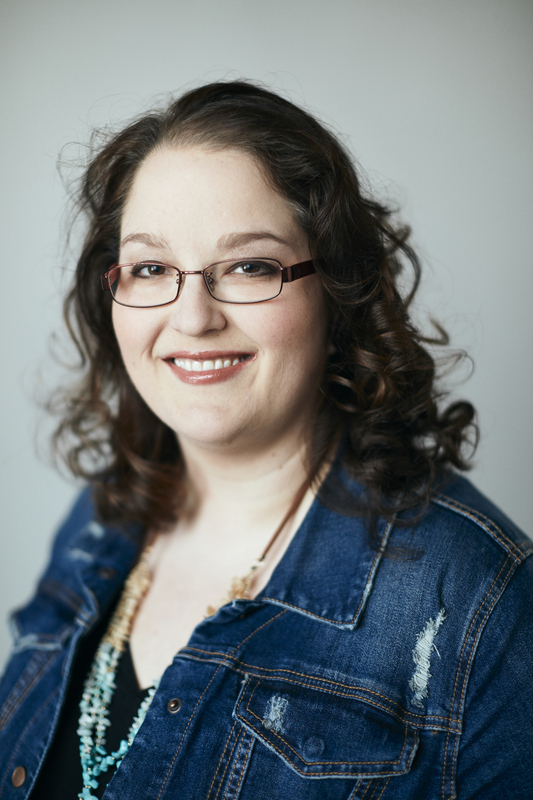 An engaging plot is a must of course—one that is believable, perfectly paced, and airtight. Also, the right scene has to be set through the use of accurate costuming, stage dressing, and dialogue. If I’m going to watch a film about the Civil War, I want to be able to imagine the feel of the canon’s boom rattle in my chest, and a film set in the English countryside better come with the aroma of a garden and some well-placed whithers and wheresoevers if you know what I’m sayin’. However, I can sometimes forgive a lack of verisimilitude if the characters are engaging enough on their own, and their are actors out there who have compelled me to love whatever entertainment vehicle they’re currently driving despite my lack of overall interest or possible outright disgust. Envision Michael C. Hall on the hit show Dexter. The thought of a serial killer with a penchant for knives, sheet plastic, and screwdrivers makes my skin crawl, but he somehow makes the show’s title character…likeable. Heck, I found myself rooting for him not to get caught once they found his dumping ground in the ocean and wondered what kind of person that made me. So, I sat down and thought about ten shows I watch and my favorite characters on each, and I discovered that those stand-out thespians all had something in common. They so fully inhabit their roles that they’ve created little tics for their alter egos, Lilliputian idiosyncrasies that might go unnoticed by ninety-five percent of the viewing audience but are as essential to the show as many of the larger moving pieces. 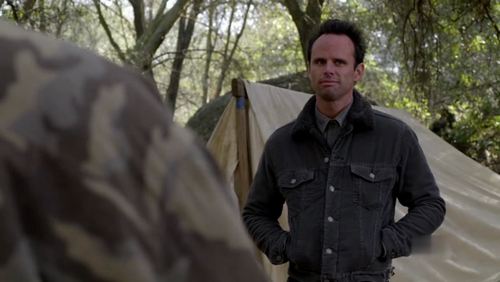 Boyd Crowder (Walter Goggins)—The hillbilly antihero of Justified has a style all his own. He’s as country as can be, but his dialogue is riddled with esoteric vocabulary, biblical allusions, and luscious sarcasm. A great example of how people from my neck of the woods play “country dumb,” Goggins delivers the lines with a perfect cadence and subtle style that draws me in. Sometimes, I’ll rewind just to hear him deliver a line again. However, the weird quirk he’s developed for Boyd is a penchant for keeping his hands in his pockets. Sitting, standing, walking–it doesn’t matter. Boyd’s hands are always firmly lodged at the waist of his well-fitted jackets. I suppose, on a show where most people come in armed for bear, that keeping one’s hands in one’s pockets is a sign of bravado. Also, not using his hands makes viewers look at his face, which is expressive in its understated style. Whatever the reason, it’s alluring, and I adore him. Niles Crane (David Hyde Pierce)—This is my nod to the shows of yesteryear. If you missed out on Frasier, do yourself a favor and find it somewhere in syndication or watch it on Netflix, Hulu, or one of the other umpteenth thousand avenues through which cable television is now readily available. Both brothers had his share of quirks, but Niles was Frasier magnified to the forty-seventh power. In fact, at once point in the show when he was in the midst of OCD compulsion–washing his hands, measuring the cinnamon sprinkled on his latte, and wiping his seat with a handkerchief–Frasier looks at his brother and says, “Compared to you, I’m a Teamster.” One of Niles’ greatest tics was his tendency to pass out whenever he saw blood–especially his own. Watch the clip and see the comedic genius of David Hyde Pierce on display. Abby Sciuto (Pauley Perette) and Leroy Jethro Gibbs (Mark Harmon)—There are some crazy forums on the Internet that bemoan the fact that Gibbs and Abby from NCIS haven’t yet “hooked up,” which is both disgusting and utterly ignorant. Anyone with half a brain would know that Abby fills the role of daughter for Gibbs–the little, trusting girl he never got to raise. He dotes on her more than any other character on the show–bringing her Caff POW!, bragging on her work, and trusting her with his secrets. One of the many rituals they have is the kiss for a job well done. It doesn’t happen every episode, but more often than not, when she discovers some piece of vital information that gives Gibbs the facts he needs to go find and maim a bad guy, she’s rewarded with a quick smack on the cheek. It’s one of those moments of intimacy (and I’m not using that term sexually) for poor, widowed Gibbs that makes him less icy and foreboding. Always a sweet treat for me on Tuesday nights. Joan Holloway-Harris (Christina Hendricks)—My husband chose to join me in watching Mad Men each week because of “Red,” the luscious femme fatale of the office secretary set. Joan, unlike the other girls who fall victim to their emotions or make stupid decisions and fall apart like cheap tissue paper, makes savvy choices. When chaos erupts around her (in the case of the man who had his foot om nommed by the lawn mower in season three) or in her own personal life (when her doctor-to-be hubby turns out to be a lemon of a lifetime investment), Joan is ready with a quippy line, which is often delivered with her left hip upthrust at a jaunty angle. Whenever she stands still, she shows off her curves by standing at nine or three instead of six o’clock, and it works to her advantage. Points to Ms. Hendricks for knowing how to rock her figure. John Bates (Brendan Coyle)—Downton Abbey, and the adorable Mr. Bates, are recent obsessions of mine. Points to PBS for actually managing to snag a show that makes me want to donate to their efforts for another reason besides a free tote bag. (Though I am rather partial to the siren call of free tote bags, let me tell you.) It’s an amazing show. If you haven’t heard about it yet, you must be new to this planet because it’s only been the hottest thing around since the second season started this year. It’s left both the Brits and their bumpkin cousins over here in the States panting for more. Mr. Bates has a great many character traits I enjoy, but the best of them all is the half-upturned lip of amusement he uses with certain characters on the show (most notably his love interest, Anna Smith). That and the bowler just make me want to melt into a puddle on the floor. Olivia Dunham (Anna Torv)—I know I said I admired Walter Goggins because he could steal a scene without using his hands, but the exact opposite is true of Anna Torv on Fringe. In every scene she’s in (whether as Olivia or Fauxlivia), she’s interviewing suspects or victims or talking to another member of Fringe Division–her hands flying like Tippi Hedren’s in her PTSD flashback in The Birds. More often than not, she spins them in a circle one another, fingers splayed in an intricate display of digits, and ends with them either spread apart in jazz hands formation or gripped together demurely like a penitent nun. I couldn’t find a still or video clip to show exactly what I means, but one episode is enough to see Ms. Torv takes her own tendency and makes it purely her character’s. Walter White (Bryan Cranston)—Oh, my word. I never thought I’d be as into Breaking Bad as I am now, but with this last season finale and the amazing assassination of Gus, I’m all in! (Seriously, death by wheelchair bomb. It was like the creme brulee of death scenes. So epic). His transformation from sanguine spirited scientist to meth manufacturing maniac has been an interesting (and sometimes heartbreaking) one to watch, and one thing that has marked the moment of change as consistently as a sore knee foretells the coming rain is something I call “the furrowed eyebrow scowl of fury” on the face of one Walter White. Really, Bryan Cranston has taken Walter from sissy to savage more than once, and it’s totally convincing. There’s something so flat in his delivery of his lines and the look on his face that make me more than a little terrified of him. He should have won an Emmy at least twice for his work on this show, and he would have done so, too, if it hadn’t been for that pesky boy in grey, Don Draper. Sheldon Cooper (Jim Parsons)—As Templeton the Rat once said, “A fair is a veritable smorgasbord, orgasboard, dorgasboard after the crowds have ceased.” If characters were like special events, Jim Parson’s work as Sheldon Cooper on The Big Bang Theory would make him one funnel cake short of the county fair. Seriously, I’ve never seen a character with so many odd and quirky personality traits! I honestly don’t know how he keeps them all straight when he shoots a scene, but somehow, he does. Of them all, the gasping laugh is my favorite by far. Half gasp, half laugh—all sarcasm— it’s as much a part of the show as Howard’s vociferous, disembodied mother. Check out the video below and indulge in a moment of hilarity that only Sheldon’s laugh can provide. Bazinga!! Rick Castle (Nathan Fillion)—Whether it’s horsing around with the guys, flirting with Beckett, or indulging in some true father/daughter time with Alexis, the central character in Castle always manages to find a way to have a good time. The overall impish attitude of Nathan Fillion is a wonder to behold. Whenever a murder happens in a way that could be something out of a story, he has a geek out moment of epic proportion, often using lines like, “This is SO TOTALLY cool!” Remember, he’s a professional fiction writer on the show, but he doesn’t describe his girlish glee using cleverly constructed sentences or high level diction. Instead, he reverts to the language of an eight-year-old because, in that moment, that’s exactly what he is. It’s like watching a pre-teen take over a man’s body. The puckish side comes out on some episodes more than others, but it’s one thing that makes Castle a fun watch on Monday nights. Dwight Hendricks (Jason Lee)—When I first saw Jason Lee on Memphis Beat, I had trouble believing it was the same guy who starred in My Name Is Earl. Rather than his hair sitting atop his head like Heatmiser’s in The Year Without a Santa Claus, the stylists chose to slick it back and give him a set of wicked sideburns that would make the King proud. Loose flannel shirts and floppy work shoes have been replaced by well-cut jeans, shirts that are tucked in, and a suit jacket. With those and a few other changes, a man I saw as a goofy, goodhearted hero suddenly becomes a blues singing hunk. Seriously! He’s also amazingly good at lip syncing because I didn’t know until I did a little research that he wasn’t actually performing the closing song of each episode. However, it’s the fact that he croons with his eyes closed that makes me like him. He throws himself into the faux performance, one hand raised like Elvis and the other cradling the old school microphone in front of him, and belts out gospels, blues, and rock and roll hits in one smoky Memphis bar or another. Whether it’s a ballad or a cause to boogie, Jason Lee’s performing with his eyes squeezed shut, lost in his own little world (which is where I’m guessing he came up with the name Pilot Inspektor Riesgraf-Lee for his poor son). 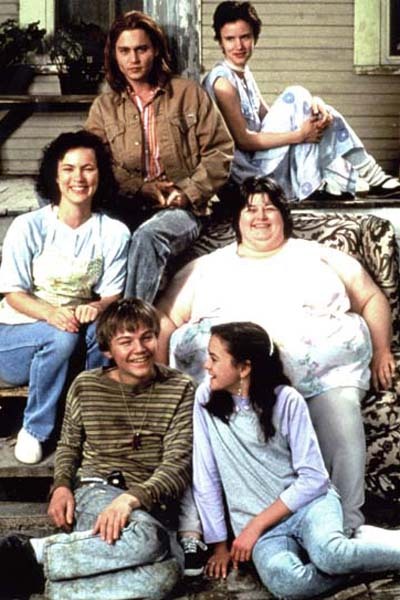 So there you have it, ten characters on television whose weirdness makes me go wild. I’d love to hear about the characters you all like and why. Share your thoughts in the comments section below!!! More often than not, this little maxim has served me well. I’m often tempted to alter a document to a way I think sounds better, and while I can say I’m not batting .1000 in the “less is more” department, I do hit more than I strike out. I wish the same could be said of then Sharpie-wielding clodpate who decided he had an ironclad grasp of English grammar and spelling rules and should “correct” one of the signs on the very nice walking trail in my neighborhood. Granted, this sign is the closest one to a bridge where several resident artists have chosen to make the world a brighter place one shaken can of Krylon at a time. For the record, many them espouse the merits of cannabis…the ones I could read at least. There was, however, one in thin black letters that simply said “Genuine Vandalism” I actually chuckled at. Okay, the editor in me sees two problems right away. 2. There are two periods missing. Both the sentences at the bottom are obviously complete and need end punctuation. I would have gone with periods for both, but a case could have been made for an exclamation point in the first one. There’s also a clarity problem with the phrase “native creatures.” There was a veritable passel of dogs in the park today–all of them walking, playing ball and frisbee, and smelling and being smelled. Seriously, it looked like the party at the end of Go, Dog, Go! But I digress. My point is that, according to that bossy sign, I could harm the dogs if I wished (and their owners weren’t looking). 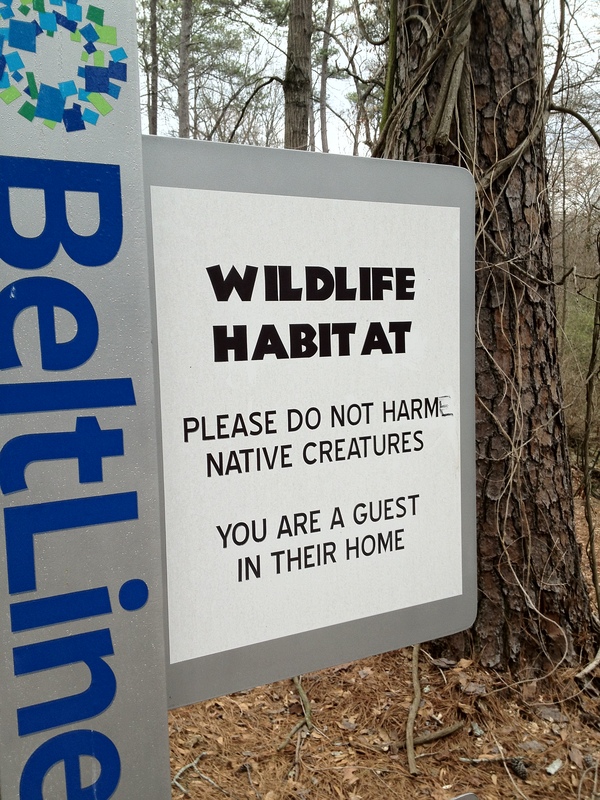 They aren’t covered by the decree because they are, in fact, not “native creatures.” Something like “Don’t harm the animals” would have been much more inclusive to any critter, creature, or varmint in the general area. I know. I know….We all assume the prohibition on animal cruelty applies to all of them whether they be “native” or “foreign.” But some uncouth ne’er-do-well could take advantage of a loophole in the signage. I’m just saying. And then there’s that “E.” Crooked. Awkward. Banal. And somehow comically obscene. It leans on the “M” like a truant child might against a convenience store wall, a pilfered Virginia Slim from his mother’s unguarded pack between his lips. Lord, Just Take Me Home to Glory! Whether it’s the the political cronyism surrounding the Solyndra collapse, the impending U.S. Day of Rage scheduled to begin on Wall Street tomorrow, or the thought of total strangers giving 16.6 million NFL fans pat downs “from the ankles up” before each game, it’s hard not to feel like the country is slowly collapsing like a flan in a cupboard. However, the true measure of America’s collective sanity cannot be taken using major social and economic events. Oh, no no. The only way to ascertain whether or not the fuzzy red, white, and blue sweater of America is unraveling is to examine the finer details, the evidence of micro-fissures. You know, those things that show up on the front page of the TMZ or Us! Weekly in garish, hot pink text. But, alas and alack, we must begin sweating the small stuff because, well, that’s where the magic happens. 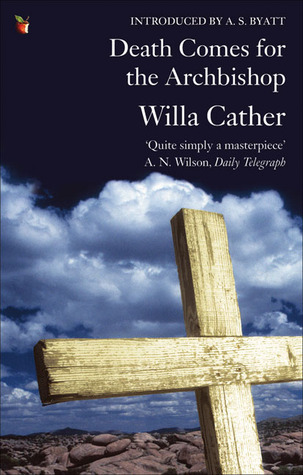 And I’m not talking the amazingly wonderful stuff like the trick David Copperfield pulls off with a duck and a bucket. (Click the link. You know you want to!) No, I’m talking about the repugnant, abhorrent underbelly of culture where the social sausage is made. I give you five pieces of seemingly unimportant evidence that, like Cassandra, predict our doom. But like the Trojans, we just don’t believe what we see and hear. Yes, this is a set of Truck Nutz. These delightful little beauties, also known as “Truck Balls,” “BumperNuts,” “BumperBalls,” and (my personal favorite) “Trucksticles,” can be seen hanging from many a trailer hitch. I cannot say with any authority that they are more prevalent in the South as I have not traveled “from California to the New York islands” recently, but the fact wouldn’t surprise me. They are available in flesh tone, white, black, red, yellow, green, blue (“for the married man” according to one website), chrome, and (you guessed it) brass. There are even camo colored ones and ones decorated with the American flag. *deep sigh* Thankfully, only a small portion of our society finds these things desirable or amusing, but I found four companies on the Internet making a tidy profit from them. Yes, apparently everything is about gender these days. Gals long for the supposed “freedoms” of men while the fellas are choosing to be stay-at-home dads. (Please note, I’m not knocking the latter. Some families gotta do what they gotta do. Just relax and enjoy the humor.) We’re not talking the confusion that comes from poorly labeled restrooms. (Think “Blokes and Sheilas” at Outback and “HeShells and SheShells” at Red Lobster.) That’s bad enough. I’m talking products that should not be marketed to one gender doing just that. So apparently, this beer is magic and it celebrates women! (Hey, I just got two free repeater jokes–the magic duck/bucket reference and the second use of anthropomorphism! Bonus!!) I’m sorry, but ladies don’t need a special girly beer to celebrate; regular beer should do just fine. After all, only swill is marketed directly to men using the can’t fail combo of chicks and sports. Quality brew knows no gender. I don’t know about you all, but I don’t know if I want a man to have “allure.” Also, if beer can’t ensure that women will “embrace all the possibilities life has to offer,” there’s no way on earth cosmetics can enhance a man’s “confidence.” Women have been trying to use the stuff for years to enhance that, and we haven’t made it yet either. Moisturizer, cleanser, toner? Sure, I can get behind that. A fella should take care of his skin. But paying $29 for lip maximizing serum, $23 for lash & brow styling glaze, and (get this) $34 for something called “confidence corrector”–well, that’s just folly. It’s becoming painfully obvious that most of America is eating themselves into an early grave. However, some of us are doing it with greater panache than others. Ladies and gents, I give you two shining examples of gustatory seppuku. Yes, from the Wisconsin State Fair, the same bastion of fun that brought us deep fried butter, I present a quarter pound of fatty beef, cheese, bacon, grilled onions, and whatever else the cook decides to chuck on there placed between the two halves of a vivisected Krispy Kreme donut. I’m sure it’s good. What’s not to like? It’s greasy, fatty, and sugary all at once. And it has bacon on it. Come to think about it, I’m sure crystal meth could be described as “enjoyable” too, but you don’t see me purchasing that either. You know it’s bad when the Brits (who are not known for their dietary good sense) complain about something we’re serving up here in the Colonies. However, their ire is well earned. 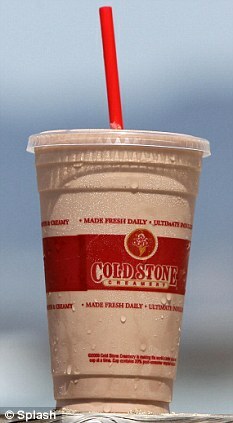 This frozen atrocity, which is made with whole milk, peanut butter, and chocolate ice cream, also contains 2,000 calories, 131 grams of fat (68g of which is saturated), and 153g of sugar. You might as well begin injecting cellulite into your thighs if you drink this because that’s where it’s going to end up. Even a skinny high school freshman with a metabolism like a cheetah would end up looking like Gilbert Grape’s beloved mother after a dozen or so of these bad boys. If Darwin’s theories hold water, only the strong should survive. How is it then that so many truly awful actors keep getting jobs…high paying ones at that? Discount the obvious ones like Jennifer “You Saved My Shoe” Lopez, Keanu “Whoa!” Reeves, and Vin “I’ll Kill You With My Teacup” Diesel. Shia Le Bouf, aside from having the most annoying name on planet earth next to Lauren Bush-Lauren, only knows one speed when it comes to acting—spastic! He would be the result if Red Bull and Rohypnol had a one night stand and created offspring. Seriously, watching him act is both exhausting and painful. Nicolas Cage is a little harder for me to openly lambaste. After all, the man can act. I’ve seen him do it!! He won an Oscar for a great performance in Leaving Las Vegas. However, being a Coppala and having several worthy film credits to your name (The Rock, Bringing Out the Dead, and Guarding Tess just to name a few) cannot cancel out a poor choice like excessive gambling. This is what placed him hip deep in debt and created the need to make films like Ghost Rider, Bangkok Dangerous, Season of the Witch, The Sorcerer’s Apprentice, and The Wicker Man (a film that, unlike the original, made me cheer when he turned into a human torch). There are many more actors I could list (*cough *WILL FERRELL* cough*), but I thought, in the sake of fairness, I should include a fem on my list as well. Ever since I saw Kristen Stewart in Panic Room, I thought she took awkward to new levels. However, when you’re playing the part of a girl dying from diabetes who is the product of two wormy people like those Jodie Foster and Patrick Bauchau played, she really didn’t stand much of a chance. Add the literary and cinematic abortion that is Twilight to her resume, and she makes me want to kill myself by eating Clorox wipes. Monotone in the extreme, she’s like the color beige came to life. Oh, we all love to hate them, that’s for sure. They come in all shapes and sizes and degrees of skankhood. From Nancy Sinatra all the way to Ke$ha (who we have FloRida to thank for), there have been plenty of “singers” who have gotten their big break because someone paid for it. Put some money in, and canned celebrity comes out. How long it lasts is anyone’s guess, but I’d rather listen to William Hung’s greatest hits than the three featured below. I suggest watching the clips in short intervals, and for the love of all that is holy, do not watch them all in one sitting! Yes, this precious little rapscallion is the progeny of Will Smith and his wife, Jada Pinkett Smith. It’s easy to break in to the biz when both your parents are Hollywood big shots (one in both acting and music). However, that does not guarantee you’ll get a quality song out of the deal. This one always makes me think the video is skipping because of the repeated assertion that she’s going to, you guessed it, “whip her hair back and forth.” Also, I worry about the already endangered preteen brain; all that sloshing around is bound to do damage and finish off whatever Spongebob Squarepants didn’t get. Don’t know who she is? Well, apparently she was “that girl in pink” in the previous video. Basically, she’s a remora feasting on the leavings of a shark. (I tell you, if there is such a thing as “celebrity backwash,” this is it!) Have you ever made a copy of something and then a copy of that copy? What happens? It degrades in quality and clarity. And that’s what we’ve got here. And the original was none too sharp herself. I wonder if Rebecca Black’s parents got a cash bonus for recommending their daughter’s producer to a friend…..kinda like I do when I send someone to my hairdresser and get $10 off my next cut and color. So, there you have it, proof that intelligent life is rapidly becoming endangered here in the Land of the Free and the Home of the Brave. Please take issue with me. Argue. Comment. Add to the list. Together, we can stop the madness.